As if having hard or acidic water wasn't bad enough, these issues also make you prone to ailments like corrosion and scale. These grievances can take a supreme toll on your appliances and plumbing. 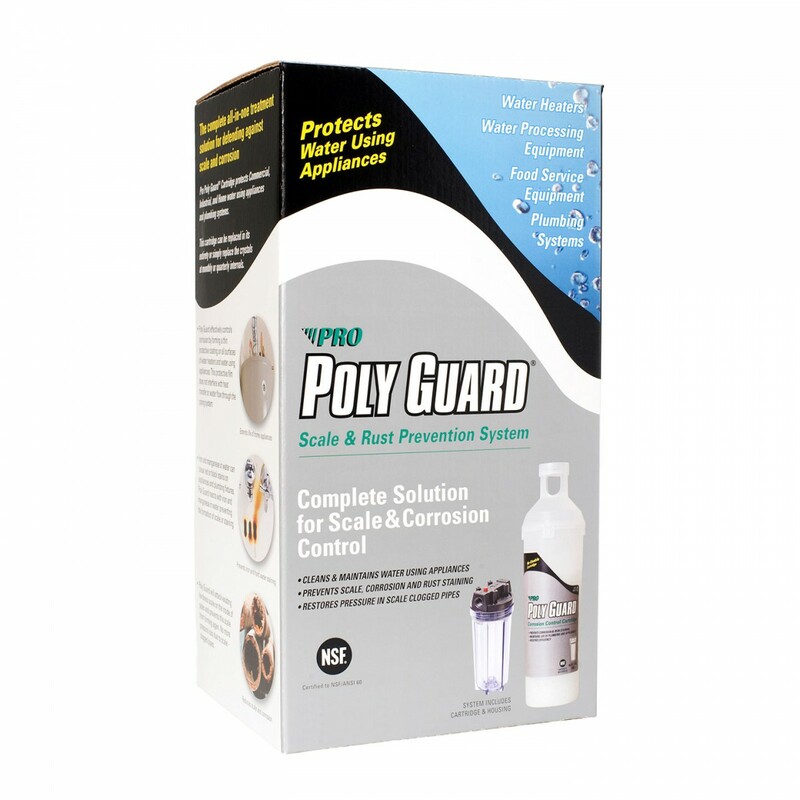 The Poly Guard Corrosion Control and Sequestrant System by Pro Products can help! 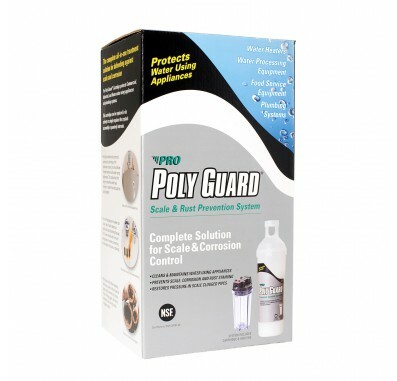 Engineered with polyphosphate crystal technology, your vulnerable surfaces and items will get assistance in the age-old battle with scale and corrosion. 30,000 gallons of treated water from one cartridge!